The veteran Minnesota hip-hop festival Soundset has just come around to reveal the lineup for its 11th year, with another collection of heavy hitters that will without a doubt leave an imprint in the Twin Cities event. The installment will be sprawled out in the Midway area of the Minnesota State Fairgrounds for the third time; last year, the festival set an attendance record with around 35,000 attendees. That number once again sets Soundset apart as the biggest music festival in town. From rising stars to seasoned old timers, Soundset really offers it all. 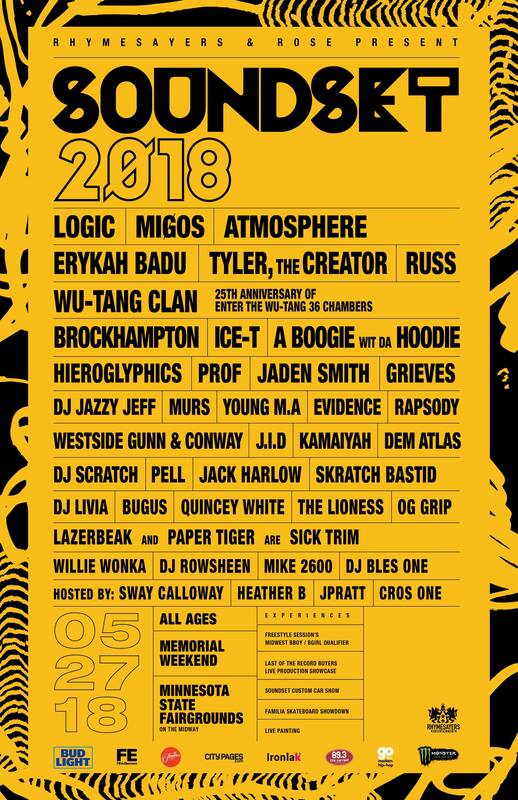 Logic and Migos represent the chart topping hip-hop megastars, with Logic being a returning member of the Soundset cast. The old school fans will have Ice-T’s return to look forward to, along with the hopefully massive Wu-Tang Clan set as an even bigger draw. The Staten Island crew are touring this year to celebrate the 25th anniversary of its breakout debut record, Enter the Wu-Tang: 36 Chambers. Dallas queen Erykah Badu is also a big coup for the fest since she hasn’t performed in the Twin City area since the early-2000s. She heads up another decent turnout of women on the often way-too-manly lineup, also including Young M.A., Rapsody, Kamaiyah, DJ Livia and local stalwart the Lioness. 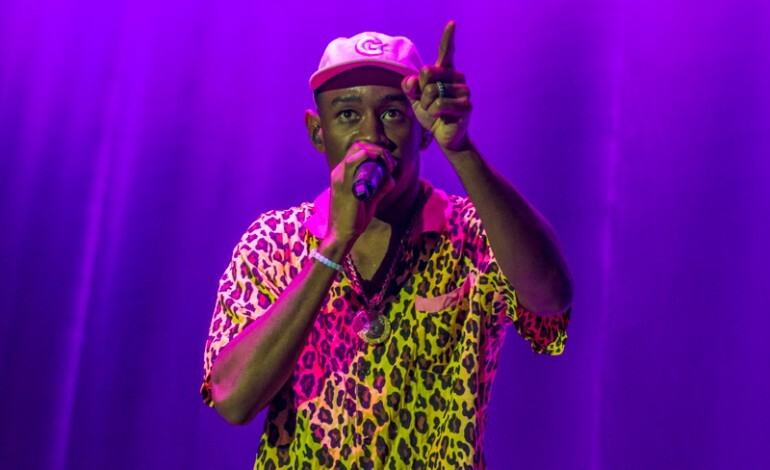 For the younger fans await rising star artists like Russ, Brockhampton, and A Boogie Wit Da Hoodie, alongside the quirkier rabble rousers of the bunch Tyler, the Creator and Prof. And you could not have a Minnesota hip hop festival without enduring indie favorites Hieroglyphics, Murs, and, obviously, Atmosphere. Other hometown artists on the lineup include Sick Trim (aka Doomtree beatmakers Lazerbeak and Paper Tiger), Dem Atlas, Willy Wonka, OG Grip and Mike 2600. Soundset’s organizers at Rhymesayers — the Minneapolis hip-hop label behind Atmosphere, Brother Ali, Prof, etc. — offered up a cool recap video from last year’s event, in case you want to check out what exactly the hip-hop festival has to offer. You can buy tickets to the event here. Check out the festival flyer below.